ThermiSmooth at Snyder Dermatology in Austin, TX is a scalpel-free treatment that can minimize the appearance of wrinkles and fine lines and stimulate the production of collagen for the face, neck, chest, knees, and upper hands. The process works by using radiofrequency energy to penetrate the deep layers of your skin to stimulate the natural production of collagen. This stimulation improves the health of the skin and also works to address areas of unevenness. Considered a safe and effective treatment, ThermiSmooth is recommended by board-certified dermatologist Dr. Renee Snyder because it doesn't require the downtime that is needed for surgical alternatives. Following the treatment, you will be able to resume your normal daily activities. The perfect candidate for ThermiSmooth would be anybody looking to reduce the appearance of fine lines and wrinkles without having to undergo a major surgery. ThermiSmooth can be performed to help stimulate the production of collagen for several areas of the face and body, which can include the face, neck, chest, knees, and upper hands. ThermiSmooth is best for patients who show signs of aging or have mild to moderate skin laxity. Performed as an in-office procedure, ThermiSmooth treatments generally take no longer than an hour. The technician will mark the region for treatment and begin the process by gently moving the handheld device over the skin. Most often, our patients describe the sensation of the treatment like a warm facial or body massage. For optimal results, it is advisable that you undergo 3 – 6 treatments scheduled about 1 – 2 weeks apart. After your procedure, you will be ready to resume your normal daily routine but are encouraged to limit sun exposure for some time. Without any incisions or scarring, you can usually see results in approximately 2 – 8 weeks, depending on the area of the body that was treated. Results can last up to two years, but follow-up treatments are often required to maintain results. There are many variables at play when calculating the cost of ThermiSmooth treatments at our office. For example, you may require multiple sessions in a series, have multiple areas of concern, or skin with different levels of severity. This will all affect the price range. Please contact our office for more information. If you have loose skin on your face from weight loss, the skin elasticity is likely too severe to correct without surgery. The best way to find out if you are a candidate for the ThermiSmooth treatments is to come in for a scheduled consultation. Dr. Snyder would be happy to discuss with you a strategy to get your skin looking healthy again. The ThermiSmooth technology will give you temporary results only. Even with plastic surgery in the future, your skin will continue to age, sag, and develop wrinkles. If you are looking for longer-lasting outcomes, you should discuss your concerns with Dr. Snyder during your consultation. 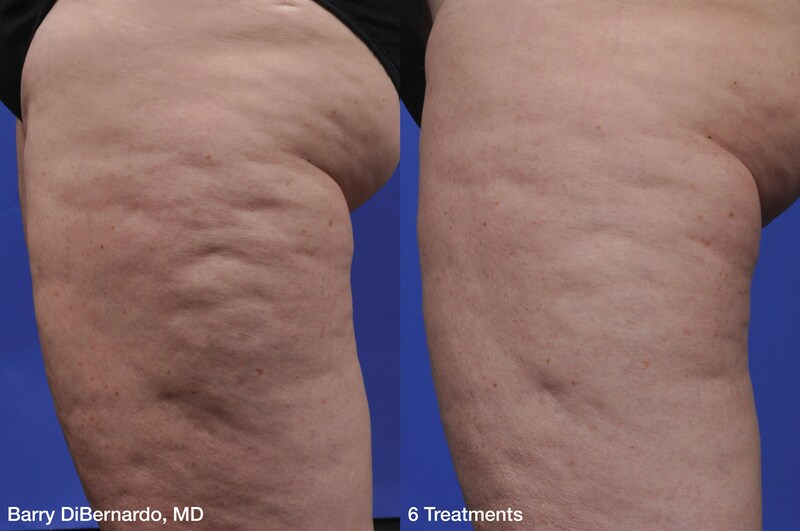 She may have insight on what you can expect from this type of radiofrequency treatments versus other procedures. Dr. Snyder may also make recommendations on how to best get the results you want now instead of waiting until you are older. We want you to look as young and attractive as you feel. No. Some of our ThermiSmooth patients leave our office with a slight red tint to their face or on the area of the body that was treated. The heat emitted will not burn your skin. In fact, there are many safety measures in place to protect your skin, such as our careful monitoring of the temperature while the ThermiSmooth treatment is in progress. You may feel slightly warmer shortly afterward, but there should be no pain during or after your treatment. If you are searching for a nonsurgical way of reducing fine lines and wrinkles, ThermiSmooth could be the solution for you. It can help you achieve tighter, smoother, and more youthful-looking skin for many areas of the body and face by stimulating the production of collagen. To gather more information, contact Snyder Dermatology to arrange your appointment.